If you manage your company’s sales team, you probably spend a lot of time working with your sales professionals to identify opportunities and monitoring their performance. You may focus on helping them effectively outline your company’s value proposition and discuss specific sales techniques with them. All of that is important. But one of the most crucial skills you can help your sales team develop is the ability to effectively manage adversity and overcome rejection through the power of positive thinking. Natural talent and intelligence alone aren’t enough – underachieving geniuses are a cliché. What’s important is having the will to overcome adversity and to keep trying even after initial setbacks. The simple fact is that, with rare exceptions, a salesperson faces more losses than wins. As a sales team leader, you’ll need to find a way to keep your group motivated and focused on overcoming the many obstacles they’ll face in the course of cold-calling and pitching proposals. Instead of feeling helpless and hopeless when encountering adversity and rejection, sales professionals who have learned to be more optimistic can assert control over their thoughts and generate positive energy and motivation. As a result of increased levels of optimism, they’ll generally act in more positive and proactive ways, which tend to garner better results. This dynamic creates a “virtuous circle,” whereby optimism sparks positivity and action that lead to success. Pessimism, on the other hand, can create a “vicious circle” in which pessimism leads to expectations of failure that become self-fulfilling prophecies. The spark in this process happens in the mind of the sales professional, and it can be nurtured in a number of ways. Some are believers in the power of positive thinking, of visualizing success or engaging in positive affirmations. Different techniques will appeal to different individuals. But the important thing is that the sales team recognizes the direct connection between their attitude and their results. As a company leader, you can assist in this process by assessing individual performance and talking through how their perceptions affect results. There are many books on the topic that can be a great resource for your sales team. You can also set goals, ask your sales team to try to cultivate a more optimistic outlook for a pre-set time and then meet with you to discuss any changes they’ve noticed. Another great technique is to gather the team and have everyone share stories about how they overcame obstacles and reversed setbacks. By learning how other team members succeeded after initial adversity, sales professionals can learn to be more optimistic in their own thoughts. And that’s the primary point – we’re not 100% in control of our circumstances, but we can control the attitude with which we confront them. 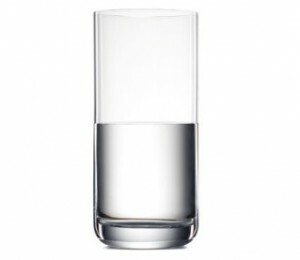 By choosing to see the glass as half full, we can position ourselves for greater success. Larry Caretsky is a CEO of Commence Corporation, one of the leading providers of Customer Relationship Management (CRM) software to the middle market. 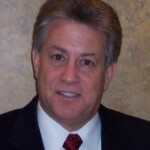 Larry has more than thirty years of experience with top 100 software companies in the high technology area.